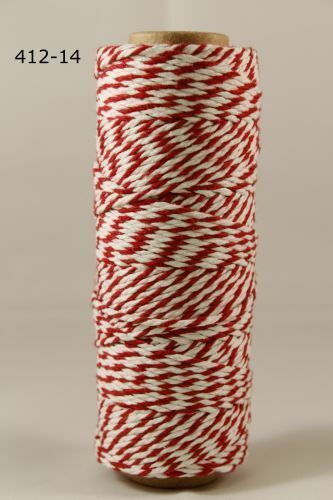 Red and white bakers twine will add a splash of colour to your craft projects. 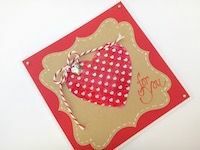 Also known as craft string it can be used in a variety of ways, use it to embellish cards and scrapbook layouts, to tie on charms and create bows and tassels, not to mention it's original purpose of tying up cake boxes. 100% cotton.